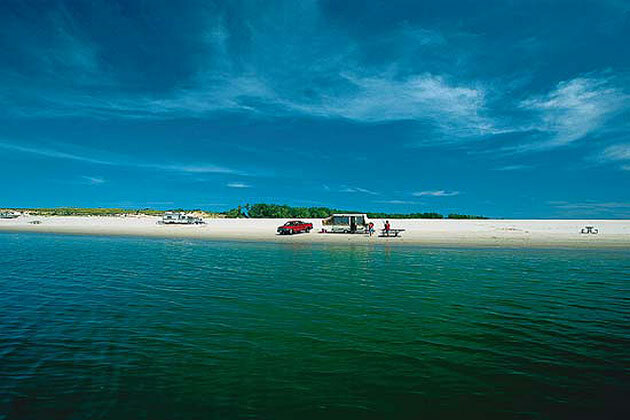 The white sand beaches of Nebraska « Hercules and the umpire. 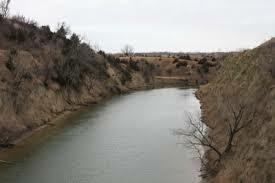 I have previously written about water scarcity, and the Platte River. Today, I want to write just a little about a large man-made lake in Nebraska that serves to impound water from the North Platte river for use by farmers in my old stomping grounds and also to provide water for the river birds of the Big Bend reach of the Platte. An impoundment like this drives environmental purists crazy, but I am a firm believer in these types of reservoirs. Indeed, the tragedy is that in wet years like this one, we lack the capacity to capture even more water and instead allow the flows to pass through Nebraska unused by man, foregoing the beneficial uses that could be derived from the additional storage of high flows. The Platte River is now a regulated river, and there is no turning back to the “mile wide and inch deep” river of presettlement days. Lake McConaughy is a reservoir on the North Platte River. 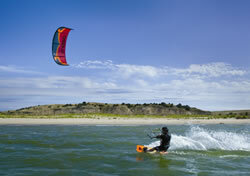 It is located 9 miles north of Ogallala, Nebraska, near U.S. Highway 26 and Nebraska Highway 61. It is near the Colorado border, in the Moutain Time zone. When full, the reservoir has a capacity of 1,740,000 acre feet, it covers 35,700 acres and has 76 miles of shoreline (much of it beautiful white sand), making it the largest reservoir in Nebraska. 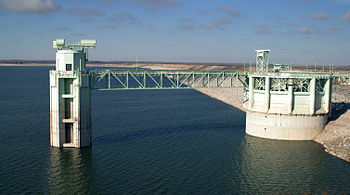 Lake McConaughy was constructed to store water for irrigation for the Tri-County, later renamed Central Nebraska Public Power and Irrigation District (CNPPID), hydro-irrigation project. It brings the water about 115 miles down to the central Platte valley near Lexington via a unique system that uses the Platte River and large scenic dirt canals that are carved into and snake through the hills. CNPPID, a political subdivision of the State of Nebraska, owns and operates the dam and reservoir and an associated hydroplant below the dam. The headquarters of Tri-County is in Holdrege, Nebraska, not far from Lexington. The good news this year is that Big Mac is nearly full from all the late rain and the late snow fall that took place upstream in Wyoming. Algis Laukaitis, Lake McConaughy could be full in less than three weeks, JournalStar (June 2, 2015). May it continue to be so. I appreciate being educated by you about Lake McConaughy. I assume that it provides opportunities for recreation in addition to storing much-needed water. Glad to know that Nebraska has white sand beaches! Oh, yes, lots of recreation including swimming, sailing large sailboats, great fishing, water and jet skiing, parasailing,and all the rest of water related fun. A lot people from Denver–only about 3 hours to the West on I-80 –vacation at the lake. The lake is huge, and very deep at certain points (170 feet for example). So, if you are out this way in the summer check out Big Mac. It is just off I-80–about 10 miles. The nice little City of Ogalla,NE on I-80 is a neat little place too with a genuine wild west history and feel. The lake is only minutes away. How would you feel if your governor conspired with Oil-Qaeda to inject fracking fluid into it? Californians felt like “sue the bastids” … and did so (The People vs. The Bastids).